I have been a personal chef in the Orlando area for the last 14 years. After graduating Culinary School and my apprenticeship I had two children. With my husband also in the industry, we decided one of us would really be there to raise our children. I found the United States Personal Chefs Association in 1995 and have been a member since then. I really enjoy cooking for people and entertaining, so three years ago I got involved with the Central Florida Vacation Rental Managers Association working with guests in their vacation homes. I love this! The picture is good and the recipies….well you know how I am about recipes! Congrats on your time travel my dear friend! This is my first chance to stop by and check out your recipes…can’t wait to try and make these cookies!! Great recipes, can’t wait to try the quick shepards pie! My family and I recently vacation in a Villa in Emerald Island Resort over the Easter holiday. We were able to get Linda to prepare our Easter dinner, along with her two wonderful assistants. This was our first experience hiring a chef and it was wonderful. She started us out with a lovely lobster spread, next came to hot artichoke & crab dip (mouth watering), she also prepared fried chicken tenders for the kids and finally crab cakes with a fantastic and tangy dipping sauce. We used that sauce on the chicken tenders as well, it was so good. After we devoured these teasers it was time for the meal. We started with an amazing salad of baby greens with candied pecans and cranberrries with a perfect vinagarette. Next, we shared a delectible standing rib roast with aujus and ground horseradish. The beef was paired with tender asparagus, highlighted with colored bell pepper bits. The prime rib was prepared to a perfect 120degree medium rare, it was tender and juicy and perfectly cooked. Also accompanying the beef were roasted potatoes and delectible sweet potato casserole with maple and brown sugar. Finally, we were treated to fantastic pairing of desserts Creme Brulee with fresh berries and a delightfully tart yet light lemon chiffon. Everyone in our party raved over every course. Picking out the best is impossible. We enjoyed every moment and every delightful course. My only regret was that we didn’t have the forethought to ask for a seven course meal, so we could keep it all coming. 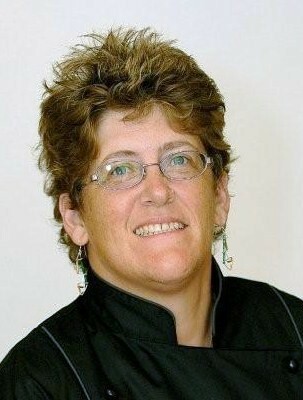 If you are considering Linda for your private chef, I and our entire group of 14 can highly recommend her. She is a wonderful chef and fantastic to work with. I hope next time we are in Orlando we can have her again for something more adventurous. We had enough left-overs to have a very nice lunch, however the desserts didn’t survive the midnight snackers. Thanks, I am glad you enjoyed the seminar. I also appreciate you looking at my blog, it is late tonight but I will take a look at yours tomorrow. Happy cooking! nice blog, check mine out if you get a chance. Really good blog. thank you so much for your effort in writing the posts. Very good blog. thank you so much for your effort in writing the posts. Hi, Thank you for taking the time to write this post. I found this a very interesting subject, regards for posting. Good job with your blog. Thanks for visiting mine. I was a personal chef also. I will definately be back. I just want to tell you that I am just beginner to blogging and definitely loved this website. More than likely I’m going to bookmark your website . You amazingly come with amazing articles and reviews. Cheers for sharing with us your web site. I’ve enjoyed reading through your blog https://orlandovacationchef.wordpress.com because of the great style and energy. I have a blog on travel theme. If you’re interested, we would love to have you on as a guest blogger. Please send me an e-mail and I can give you more information. Looking forward to hearing from you. Keep up the wonderful work , I read few content on this web site and I conceive that your weblog is rattling interesting and contains lots of great info .